Winners & Runners Up Announced! 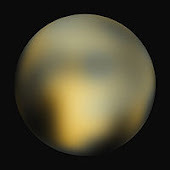 The Naming X team is delighted to announce the winners and runners up of Naming X, a global online competition launched in honour of Venetia Burney Phair who named the minor planet Pluto in 1930, aged 11. Reason: Planet Glissade sounds beautiful. Glissade means to glide along, as in ballet, which is like a planet, which glides along in the universe. Name by: Erica Reed, 10years old, USA. Reason: I believe a planet should be named "Sumer." Sumerians are from Mesopotamia, the cradle of civilization, and we should honor our first civilization on earth. Reason: Naveen is the synonym of Newness, change and something different. So I chose this name for a NEW planet. Reason: It means beautiful rock. Someday someone might live there, it should have a nice name. Reason: In Greek mythology, an island at the western edge of the world bathed red by the light of the setting sun. Reason: Seshat was an ancient Egyptian goddess of astronomy and wisdom, among other things. Reason: Anima is an Italic word, which it mean the soul. Finding a new planet make us more curious as it may bring new expectations to our soul to live on a new planet like as the Earth. Reason: Was the Titan god of the stars and planets, and the art of astrology. Reason: Makrilios is a contraction of the Greek words makrinos, meaning far, and ilios, meaning sun. This is because at Kuiper belt distances, the sun is far. Reason: In honor of both the poet and the astronaut (Grissom). Reason: The children think Serendipity is a great name because many great scientific discoveries are a combination of hard work and good luck!! Reason: Frank De Winne was the first ISS Commander worked for ESA. Reason: We represent our naming X in a simple equation: (U + Me = Us). Thus, Umex. Winners will receive a copy of the award-winning documentary of Venetia’s story, Naming Pluto and a film poster, care of Father Films, telescope time care of Bellatrix Observatory, Italy and a signed certificate from our judges. Winning names will be included in a formal proposal to the International Astronomical Union’s (IAU) Committee for Small Body Nomenclature (CSBN). The team and jury did not plan to select Runners Up for Naming X but as several names stood out we would like to extend a special mention to our Runners Up by way of a signed certificate from our judging panel. A project of Space Renaissance Education Chapter as a tribute to late Venetia Burney Phair.